Check out Tobi's Bonjour Plaid Skort Summer days in the park call for the Bonjour Black Multi Plaid Skirt! Featuring a cute plaid pattern with an asymmetrical cut and back inseam zipper on a polyester weave. Summer days in the park call for the Bonjour Black Multi Plaid Skirt! 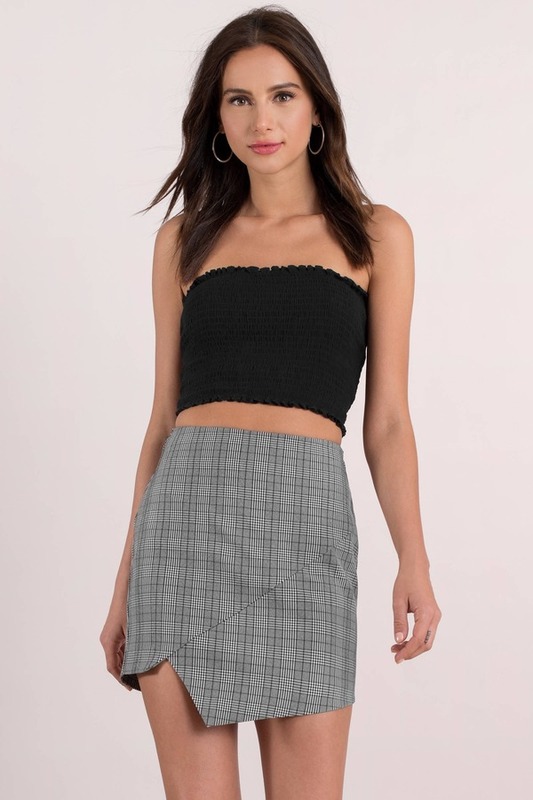 Featuring a cute plaid pattern with an asymmetrical cut and back inseam zipper on a polyester weave.